Spectacular and spacious suites with large wooden decks all enjoy a view of the dam – even your outdoor shower! Doesn’t come cheap – then again look at the images and the quality on offer and does that really come as a surprise? Built under a stand of mature woodland forest, Chitwa Chitwa overlooks one of the largest lakes of the exclusive 63,000 hectare Sabi Sands reserve – this is a massive plus, in that there is an almost constant procession of game coming down to slake their thirst. It’s a hugely attractive place to spend time for its human occupants too, with its wonderfully luxurious and stylish suites and public areas. Unlike many of its rivals which belong to big groups, Chitwa Chitwa is family owned and run, having been in the hands of the Brink family for over 40 years now - owners Charl and Maria are dedicated to ensuring guests enjoy warm hospitality and a memorable safari experience. 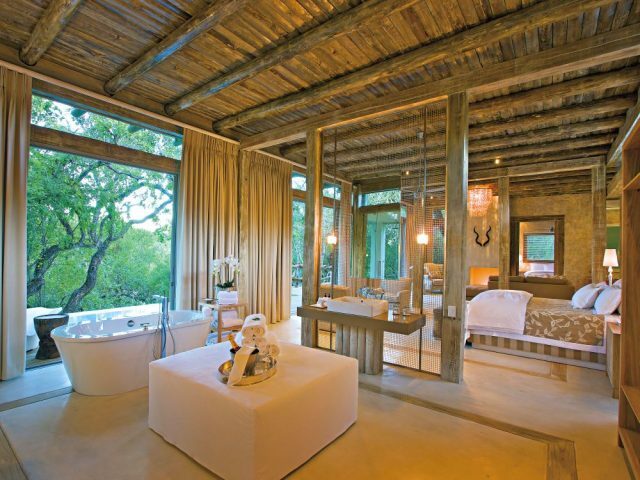 For our money Chitwa Chitwa is one of the most stylish and attractive lodges in the Sabi Sands - original, innovative and personal, the lodge features a mix of African chic and contemporary European design that succeeds in creating a gorgeous and luxurious haven that perfectly complements the beauty of its setting. With the lake as your backdrop, you’ll enjoy spectacular game viewing whether you’re on your private deck, in the chic lounge or enjoying the wonderful cuisine in the dining room. The lodge’s style and atmosphere is enhanced by Maria Brink’s original contemporary art pieces, present throughout the lodge. Hidden among the trees, each of the lovely chalets exudes an air of bygone romance and a hint of adventure - all wrapped in bang up-to-date contemporary décor touches and luxury fixtures. There are just 6 spacious air-conditioned suites, each individually decorated and featuring a spacious sitting area with a fireplace (great for those cosy winter evenings! ), stunning stand-alone bath-tubs as well as indoor and outdoor showers. They also open onto a large wooden deck with your own private plunge pool, that overlooks the nearby lake – the perfect place for you to simply relax with a good book or pair of binoculars so you can keep a closer eye on the game coming down to drink at the lake. 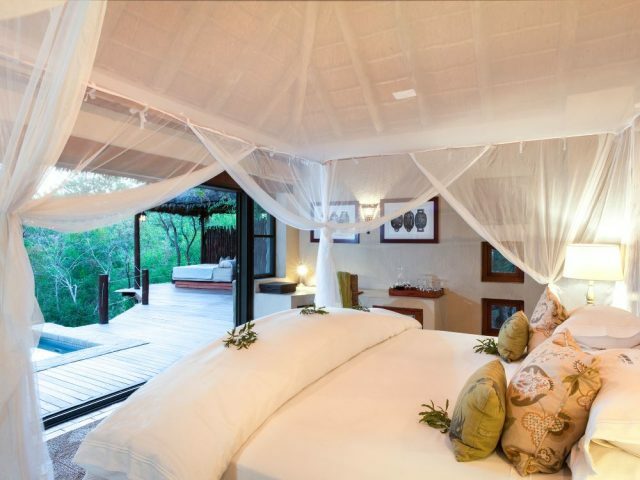 The suites are massively spacious at between 130 and 180 m2, so the biggest challenge could be to drag yourself out of their alluringly romantic embrace at mealtimes and to go on game drives! As we mentioned before, families are welcomed at Chitwa Chitwa and the suites are able to accommodate up to 2 extra beds for kids under 12. If you need even more space, then the Charlsy Suite which consists of two splendidly appointed interlinking en-suite rooms joined by a comfortable living area, could be just the ticket. So whether you’re wanting a spectacularly romantic weekend or a memorable family getaway, Chitwa Chitwa has got it covered! If you do succeed in extricating yourself from your suite, you’ll no doubt be just as impressed by Chitwa Chitwa’s main public area with its clever design that seems to bring the outside in. There’s a magnificent bar and lounge area which seem to melt into the surrounding trees, rendering you invisible to the game loitering in the bush beyond. The library is an especially cosy place to chill out whilst dipping into the large selection of books. Dining experiences are also top class and the team at the lodge do their best to mix things up and keep things varied - so lunch and breakfast may be served next to the pool in the thatched lapa overlooking the lake whilst superb dinners could be enjoyed in the elegant dining room or under the stars in the open-air boma around a roaring fire by candle light. Meals are as much a social feast as a culinary one, and you will enjoy warm conversation from rangers and the friendly management team in a relaxed atmosphere. You can enjoy drinks in the lounge bar or rummage through the rather unique, underground wine cellar built around the natural granite rock floor. Whilst the lodge itself is superb, the whole experience would fall flat if the game experience wasn’t up to scratch – but never fear as the Chitwa Chitwa safari experience is similarly top notch! Whilst the lodge itself owns a relatively small piece of the reserve, it enjoys extensive traversing rights with neighbouring properties, so you’ll enjoy some of the finest Big 5 game viewing on the planet, with superb leopard sightings a particular speciality! You will be guided by highly qualified rangers and Shangaan trackers whose passion for the area is infectious and who both possess profound knowledge regarding the wildlife here and the broader eco-system. Back at the lodge you can enjoy a session in the gym or (our choice!) a relaxing massage in the spa. 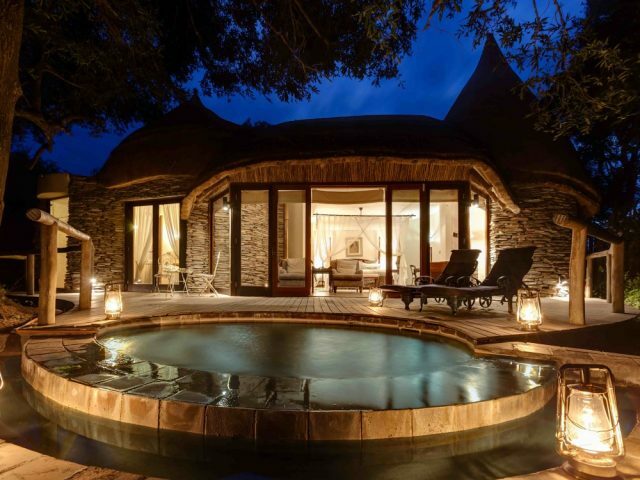 Or why not indulge in your private plunge pool for some quiet time alone together with just the animals as company! 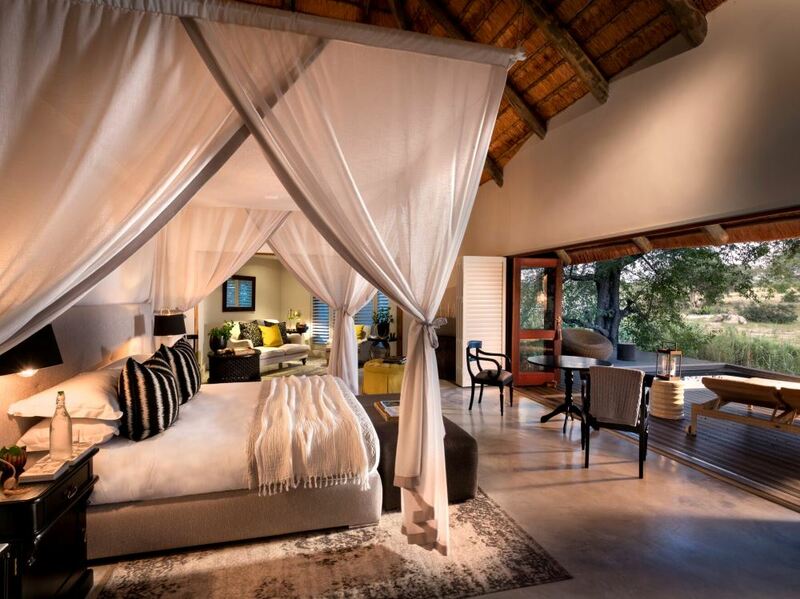 Chitwa Chitwa is more than just a luxury private game lodge in the bush. 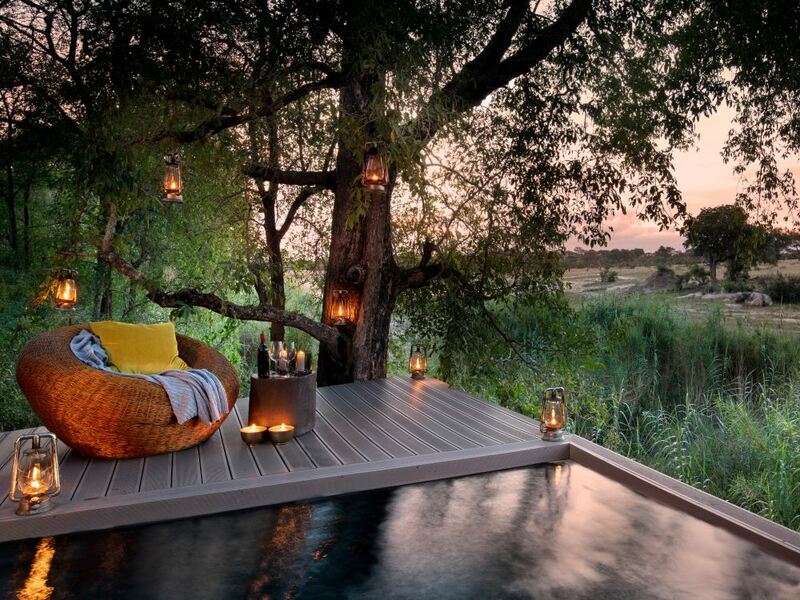 It’s a holistic and sensorial experience which starts at sunrise and captures the very essence of the magnificent wildlife heritage and natural landscape of Africa before sunset. From the cotton sheets you’ll sleep on, to the delicious dishes you’ll indulge in, luxury and a sense of passion touches everything you experience here. While catering for the most discerning traveller Chitwa retains a very homely atmosphere - a place where you can be who you are! A gate entrance fee of R280 per vehicle and an entrance fee of R120 per person is applicable. Valid until further notice and subject to change.